The OC Vlieren is a former church built in the 1960s and now used as a community centre. On Saturday 22nd September Paul Gandy and Dave Burton from South Wales MAFVA attended the Bouwgroep Breda Meeting 2018 that was held in the OC de Vlieren in the city of Breda in The Netherlands. This was the first time that Dave and I had ever done anything like this with just the two of us. Over the last two years we have joined Cambridge MAFVA on visits to Overloon and twice to Scale Model Challenge in Eindhoven, which gave us a good insight in to what to expect, and the encouragement to have a go at attending a show on our own. We arrived in Breda on the Friday where we had a look around the city, and then met up with Geert-Jan Meeuwissen who spent some time showing us around the city. It’s not a huge city, but it certainly has quite a history with an interesting mix of both old and new buildings. This “Spanish Castle” is an interesting part of the city’s history, and is next to the Dutch Military Academy. There are also a number of other military bases in the city, which is very much a Garrison Town, and full of character. After the guided tour, we checked in to our hotel that was nearby and then went to the venue where we were introduced to Arno Cornelissen who runs this Breda group of TWENOT, the Dutch Armour Association (Dutch equivalent of the MAFVA). We were treated to an evening meal with all of the members of the club where we had a good chat, with a lot of talk about why on earth the UK should want to leave the EU, and the potential problems that this will cause. The Traders’ Room with some fascinating bangles dangling down from the ceiling, you can just about see some of the words within the bangles. What was particularly interesting was the room used for many of the traders. The bangles hanging down from the ceiling very very unusual. In the front of the photo is the Paper Panzers stand who had a particularly successful show. Here’s our stand with my models to the left and Dave’s to the right. We had quite a lot of interest in our display and made many new friends in the course of the day. A beautiful 1/24th scale armoured bulldozer that was made by a TWENOT member. It took him 25 hours a week for two years to completely scratchbuild this! Next to our stand was this highly impressive scratchbuilt 1/24th scale bulldozer. It is a really impressive piece of work. One of many at the show. Our hosts, the Breda group were on the other side of us. Here they are all demonstrating their model making skills. One big difference between Dutch model shows and those in the UK is that we tend to just display our models and maybe speak to anyone who asks us about our work, whereas a lot of the Dutch model makers were showing us what they did, as were most of the clubs at the show. An added interest were these vehicles that drove to the show and gave everyone the chance to see some vehicles in 1:1 scale. They were all immaculately turned out. A Post-war Dutch Jeep, which differs from the US version with altered font lights. This vehicle had been used in the anti-tank role with a recoil-less gun, hence the split windscreen. I was particularly interested in this Dutch Jeep, which is a Post-War version, again, very nicely displayed. The show was a lot smaller than the Scale Model Challenge show in Eindhoven, although the Scale Model Factory who organise that show were also exhibiting at this show as well. There were just a few entries in the competitions, but all to a good standard. A closer view of some of the competition entries. All in all, this was a superb weekend. Particular thanks must go to Geert-Jan Meeuwissen (or GJ for short) and to Arno Cornelissen, both of whom were superb hosts, and GJ in particular who made this such an enjoyable and memorable couple of days. Well worth the effort, and highly recommended if you get the chance to go next year. 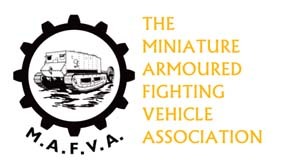 A number of members of this group will be exhibiting at the IPMS Scale Modelworkld show in Telford in November.